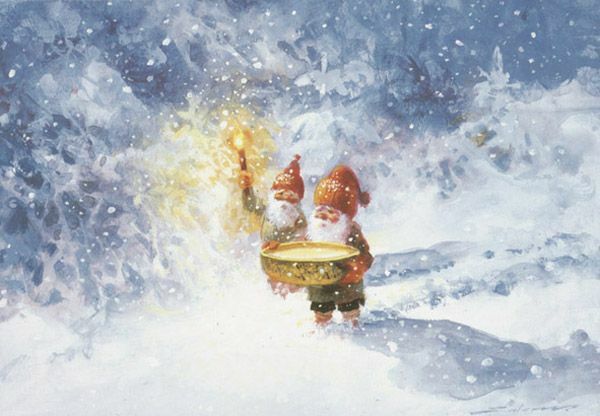 Legends of the North: The "Nisse"
In modern day Scandinavia, nissen or tomten is first and foremost associated with the Christmas holidays, and often perceived as a Scandinavian version of Santa Claus. This association is however rather misleading - it is also important not to mistake him with somewhat similar creatures, like elves or goblins. Nissen stands out on his own, and represent a quite different set of values. 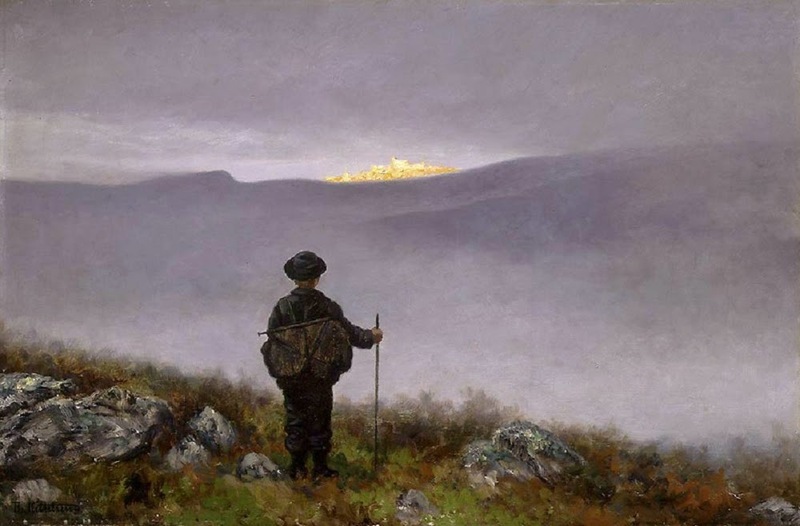 In the old Nordic folklore, he existed as a figure who lived very close to people in their everyday existence. He was primarily imagined as an elderly man, not much taller than a child, who bore clear signs of high age, his face yellow as parchment, wrinkled like an old tree root. He often had a full beard and dressed in the everyday clothing of a farmer, in grey wadmal clothes, breeches, a long jersey and a red woolen cap. He was quite hairy, all over the body, as well as unreasonably strong for such a tiny creature. Unlike dwarves and the hulder people, who inhabited the hills and forests, nissen had his abode in houses and barns, and served as a guardian, as well as a helper. He was essentially good-natured, and loved conducting practical jokes. It was however, important to be on good terms with him, for he could create a lot of turmoil if he was neglected. "Nissen is generally an honorable being. If treated with kindness and respect, he is very willing to be of service. He helps the milkmaid to take care of the animals, and helps the cook to scour, carry water and do other heavy work; she must nevertheless make sure she does not upset him, or forget to supply him with good food and drink – especially around Christmas." Hence, at Christmas Eve, nissen was presented with the very best of the local cuisine; normally this included a decent portion of Christmas porridge, lefse (a traditional soft, Norwegian flatbread) and beer. If nissen was not satisfied, he would not hesitate to revenge himself by making life unpleasant for the people around him. Well-known is the story about the girl who was so hungry that she ate the porridge herself, instead of giving it to nissen. He later on retaliated by dancing with the girl, till she died. Other stories may however be of a more humorous form. A legend from Østfold in southeastern Norway tells for instance about a milkmaid who got help from nissen to look after the cows. In addition to rightfully supply him with milk and treats, the maid one day also decided to sow him some new clothes. This gesture however, turned out to backfire on the poor girl. One evening, nissen came to the house, wearing his new ensemble. Rather baffled, the maid received a resignation from the little geezer, who proclaimed he was too pretty now to struggle and strive in the barn! 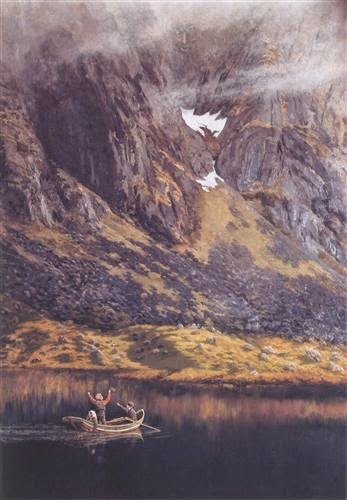 Stories and Christmas cards from the late 1800s have helped to spread the image of nissen, and preserved him as an important part of Scandinavian culture. Although he has adapted some features from the commercial, American Santa Claus, the old-fashioned fjøsnisse still remain as perhaps one of the foremost symbols of Norwegian Christmas. Even nowadays many still put out a bowl of porridge for him on Christmas Eve – a survey conducted in 2009 showed that 9% of all Norwegians carry on this 1000 year old tradition. The nisse in the barn has got his Christmas treat, so good and sweet, so good and sweet! He nods his head and smiles, oh so happily, cause Christmas porridge, he just loves to eat! And around him stand the rats that think he’s sharing, and they’re staring, and they’re staring. They are also very fond of Christmas porridge, and they’re dancing, dancing in a ring! Eventuelly, nissen threatens to retrieve the cat if the mice do not disappear. As by a stroke of magic the conflict is terminated, and the little rodents flee the scene. Faye, Andreas. Norske Folke-Sagn. Norsk Folkeminnelags Forlag. Tredje Oplag. Oslo 1948. Hodne, Ørnulf. Vetter og skrømt i norsk folketro. J.W. Cappelens Forlag. 1995.